What is a war model? A way of fighting specific to a given country. Why the US war model? Two entries in late and decisive wars: the first in 1917 during the first world war, the second in 1941 after the Japanese attack of Pearl Harbor. Why the example of the Normandy landings? During the Second World War, amphibious operations were an integral part of the American war model, both in Europe and the Pacific. What are the main characteristics of the American war model? How was this model capable of prevailing over enemy forces? The study of the American war model during the Second World War shows us both the constants and the evolution over time and events. We will first address these constants before analyzing the changes that are inspired by the reports of the various pre-Normandy landings. A. Constants of the American War Model. The material of the American war model. While the United States lags behind in the military industry at the beginning of the Second World War with regard to Germany and Japan, it is quickly caught up in less than five years. Not only is this delay caught up, but the Americans go so far as to set records for the production and sale of armaments of all kinds. These industrial efforts on the part of the United States marked a profound change in the North American social milieu, since the black minorities, concentrated mainly in the south, joined the northeastern weapons factories and integrated themselves with the rest of population. Women follow men and, like the European, during the First World War, they manufacture weapons, ammunition, bombers… while their husbands, sons or brothers fight away from home. This effort is reinforced by the constant concern for technological adaptation. Since the American Civil War, the majority of armed conflicts have relied on physical power (and not simply on the amount of fighting forces), the Americans have perceived the importance of taking on the role of technological precursor, not the one of “follower”. Benefiting in part from the work of British and French researchers, they are developing a number of new weapons. The strategic constants of the American war model before D-Day. Let us now consider the strategic constants of the American war model before D-Day in Normandy. Indeed, we can observe that, as operations progressed, the battles fought by the American troops made the outline of a general plan that remained the same throughout the Second World War. First of all, the major effect of the United States is to fight Germany on its territory, not just in peripheral theaters of operations. If they did not possess troops in Europe at the time of their entry into the war in 1941, they massively supplied England with funds and equipment against the Axis forces. Then comes the time of peripheral actions (as in North Africa) and finally the preparation of the frontal and final action, that of operation Overlord. Already, in August 1942, the Americans were supervising operation Jubilee, a large-scale raid on the beaches of the Pas-de-Calais, which was destined to fail but whose teachings, paid at the price of blood, later benefited the Allies in The framework for the preparation of Overlord. The Americans also adopt the strategy dear to Marshal Foch of the concentration of forces. The offensives must be carried out one after the other, on a small scale. Moreover, they bet on the surprise to carry out their operations: strike where they are not expected, at the chosen time and with the most original means. It is here to have the control of the place, the time and the means, which generally assures the victory to them. These characteristics are found during the different landings that precede that of Normandy: in North Africa, Salerno and Anzio. The tactical constants of the American war model before D-Day. On the tactical level, the Americans consistently adopt amphibious assaults. This is understandable for a country that carries arms away from its national territory and has deeply relied on maritime power. Moreover, many of the territories occupied by Axis forces, especially in the Pacific, are accessible only by the sea. The experiences of landings against the Japanese in the Pacific have been very useful to the Allied forces. To realize with total freedom of action such landings, the Americans know that they must obtain upstream the military superiority air and maritime. Against Japan, the fighting is particularly bitter and marks the tactical importance of the aircraft carrier, which makes it possible to progress in both fields at the same time. Against Germany, efforts are mainly made in anti-submarine warfare, especially to protect supply convoys between the United States and Great Britain. Since 1941, the Luftwaffe (German Air Force) is no longer able to stop the waves of Allied bombers: by the end of 1942, the Allies were definitely masters of the air and the sea. B. The evolution of the American war model before D-Day. 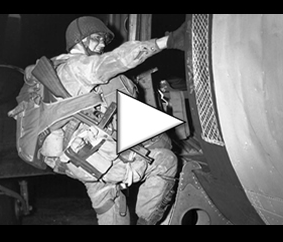 The lessons of the military experiences before the landing of Normandy. The United States adapts its war model according to its successes and failures. Each amphibious operation brings with it a lot of information and lessons that allow the allies to increase in efficiency. The first amphibious operations, in peripheral theaters of operations, are already preparing for the great landing which everybody expects, and which must directly oppose the Americans to the German troops. 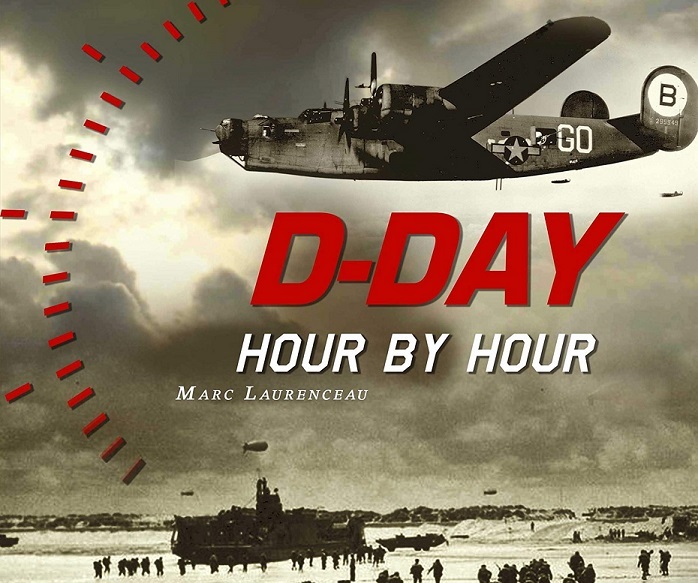 Here we will report on the various lessons of landings between 1942 and 1944, before D-Day. – Operation Jubilee. This is more of a large-scale raid than a real amphibious operation comparable to Operation Overlord. Indeed, the objectives are limited in duration and there is no question of forming a bridgehead in France. However, the geographical proximity between Dieppe and the beaches of Normandy invites us to be particularly interested, especially since the Americans will benefit from a great number of useful lessons during the preparation of Overlord. After studying lessons learned, the Allies establish that this raid was particularly costly in human lives in particular because of the lack of previous bombardments. Other factors played against the assailants (mostly French, but also French): no surprise effect (the Germans expected a landing on the coasts of northern France), no substantial supply of the troops disembarked, technical maladjustment and inadequacy to the terrain (the caterpillars of the new British Churchill tanks skate in the pebbles) and ill-chosen targets (frontal attack of a fortified port in particular). – Operation Torch. The first amphibious offensive carried out by the Allied armies under American command, the main purpose of this operation is to halt Hitler’s progression in North Africa. If the disembarkation is a success as a whole, the retex that is made shows that many improvements are possible: problems of coordination between the maritime units are noticed, while the special landing craft (landing crafts, assault barges...) are sorely lacking. – Operations in Salerno and Anzio. These two offensives in Italy show that the bridgeheads are quickly isolated and that it is extremely difficult to break the encirclement. Additional air assets would have been needed, as well as rapid availability of anti-tank means. The tactical situation on the eve of D-Day: the example of Operation Husky.